Annuities held within employer-sponsored retirement plans or individual retirement arrangements are designated "qualified." While no difference exists between the product features and characteristics of qualified and non-qualified annuities, the tax status of contributions and withdrawals differs. Deposits to qualified annuities are limited by IRS regulations regarding maximum contributions. 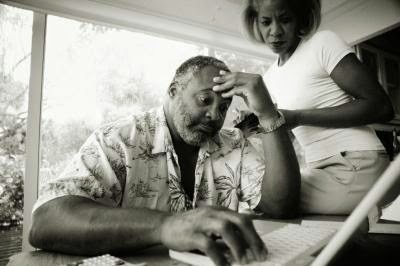 For example, if you purchase an annuity within your IRA, you cannot contribute more than $5,000 in 2012 or $5,500 in 2013. However, every dollar deposited to that qualified annuity results in an income tax deduction for that year. Non-qualified annuities are those purchased with post-tax dollars, such as money in your savings account. Contribution limits do not exist for non-qualified annuities, unless the insurance company itself places restrictions on maximum deposits. Unlike contributions to qualified products, deposits to non-qualified annuities do not generate tax deductions. The taxation of annuity benefits depends on the type of annuity from which distributions originated, qualified or non-qualified. Withdrawals from qualified annuities are fully taxable as ordinary income. Since a deduction was received for qualified contributions, the entirety of the withdrawal consists of untaxed earnings. Conversely, distributions from non-qualified annuities may consist of both taxed and untaxed money. The IRS considers withdrawals from non-qualified annuities to come from the untaxed earnings first, meaning that the full value of all withdrawals is taxable until earnings have been depleted. Once all earnings have been received by the account owner, subsequent distributions are an income tax-free return of previously-taxed deposits. In addition to the ordinary income taxes that may be due on an annuity withdrawal, your distribution may result in penalties imposed by the IRS if you take that withdrawal before you reach age 59 1/2. This rule applies to all annuities regardless of whether they are qualified or non-qualified. In some rare instances, the IRS may waive the early withdrawal penalty for extenuating circumstances, but any ordinary income taxes due must always be paid.